With so much to see and do here at Grand Canyon West, you may want to stay overnight to experience it all. Spend the night on the West Rim and enjoy the stars as you listen to the sounds of nature. 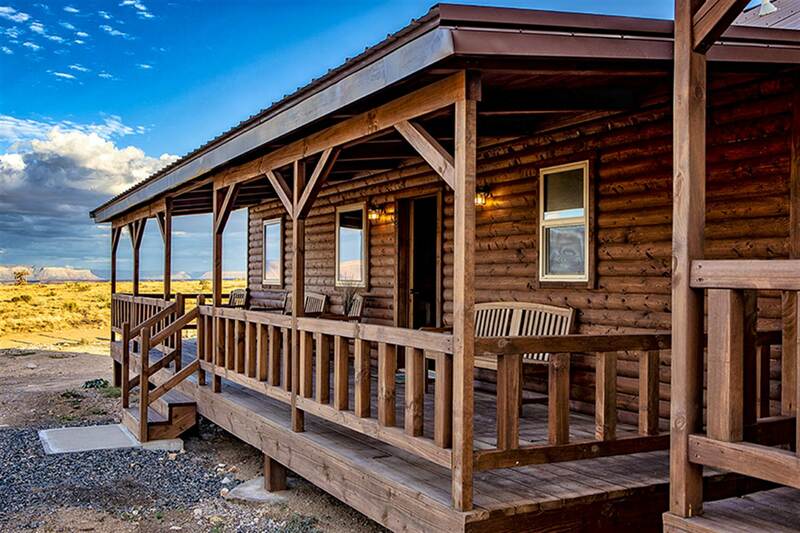 We offer 44 cabins which face the rim of the Grand Canyon. 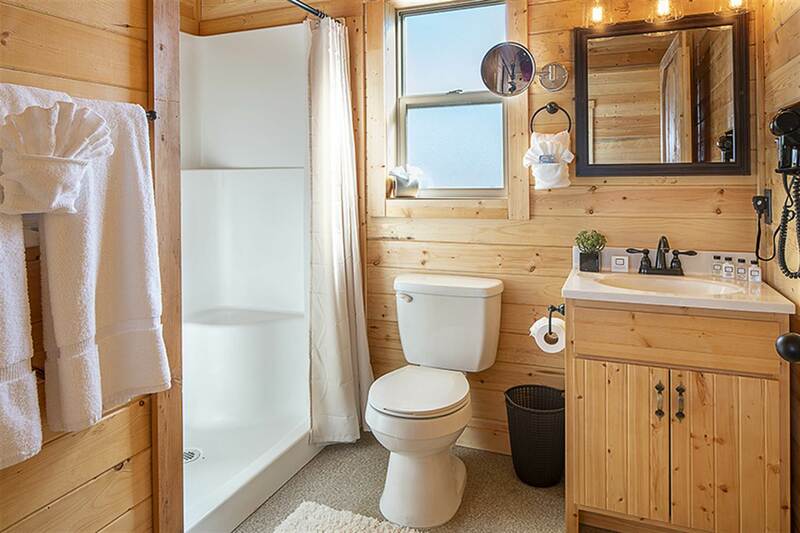 Each Cabin has a porch which is ideal for watching the sunrise and sunset bathe the Canyon with warm yellows, golds, purples, and reds as they dramatically contrast with the Canyon's deep, dancing shadows. 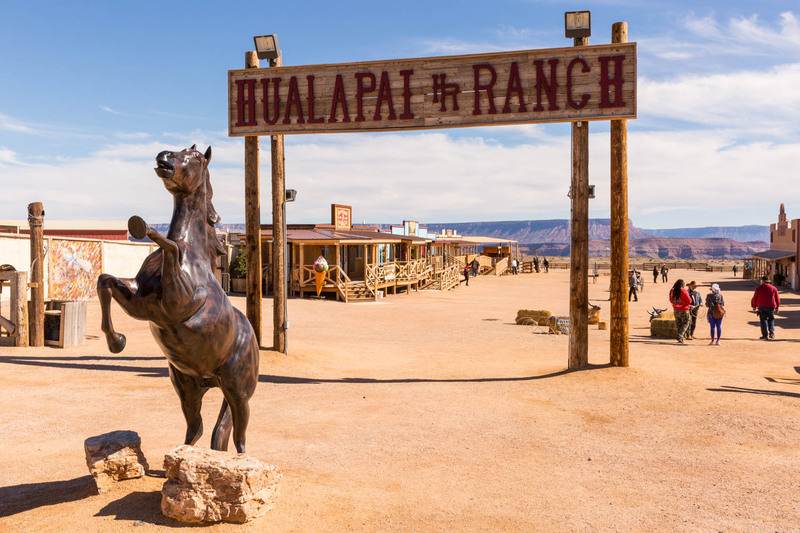 In addition to lodging, Hualapai Ranch offers exciting recreational activities, a gift shop, and an on-site dining hall all within a few minutes’ walk. 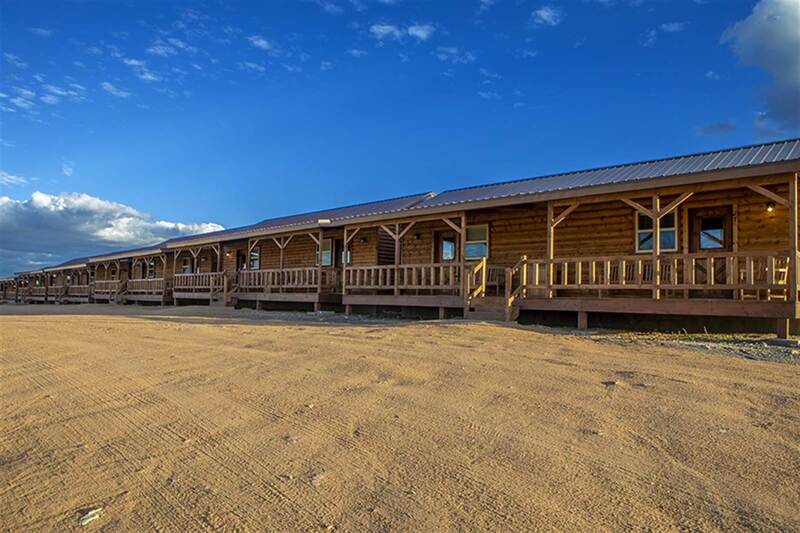 Reserve one of our rustic Hualapai Ranch cabins for your visit today. 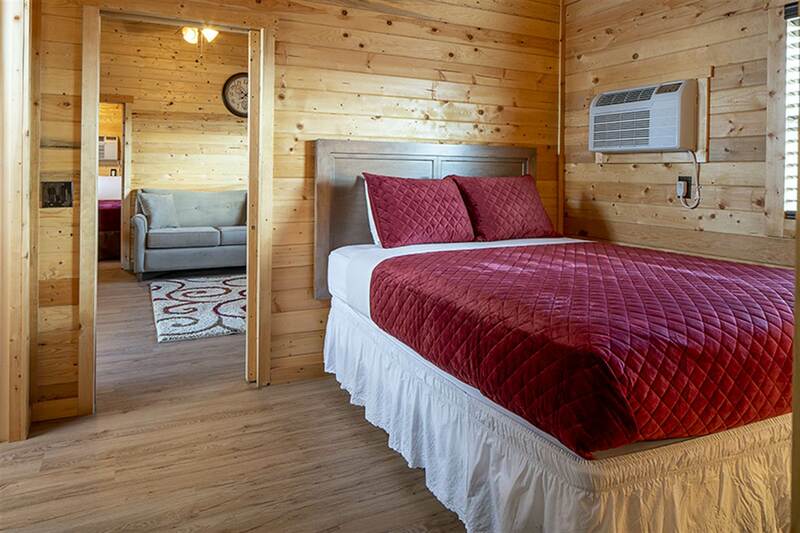 Each of our Grand Canyon cabins features all the essentials for a comfortable stay, including a queen bed, sofa bed, bathroom with shower and exclusive toiletries, hanging space, and front porch with chairs. They are also 100% smoke free. 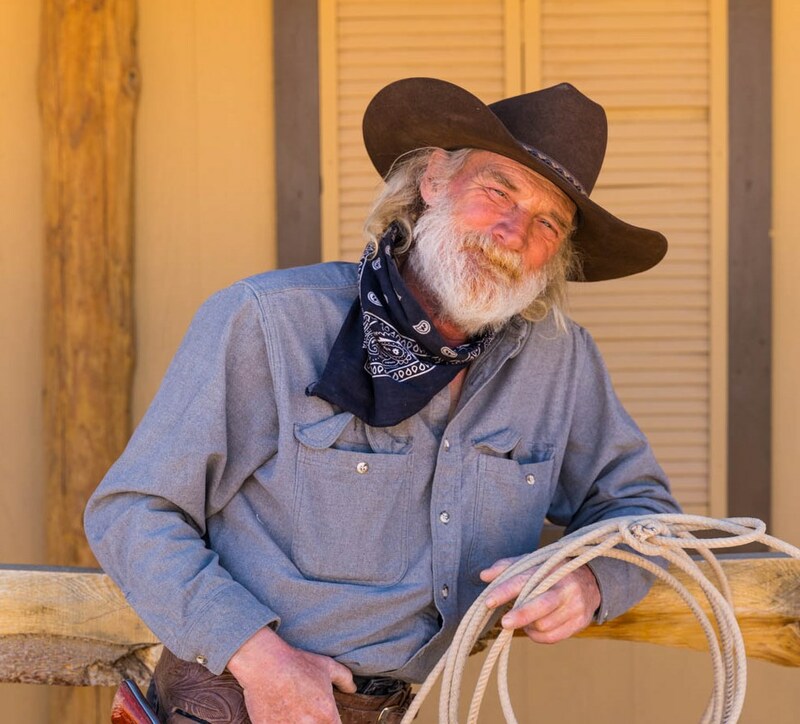 Outside of these accommodations, you can enjoy a variety of property amenities, such as photo opportunities with Hualapai Tribe members, lasso lessons, shopping in the Hualapai Ranch Gift Shop, and a chance to conquer the mechanical bull. The gift shop is reminiscent of an old Wild West town and sells items everything from cowboy hats and belt buckles to Indian fry bread mix, rustic toys, and other Western merchandise. Note: Per company policy only documented federal service animals are allowed to accompany guests. Pets must be housed in a kennel during guest visit. The kennel fee is $16. The Food Hall is your hub for authentic, Western-style food and great entertainment. Stop in each morning for your complimentary breakfast, with offerings such as biscuits and gravy, short stacks, eggs, bacon, and sausage. Hot, all-inclusive meals are served for lunch and dinner, and live country music is played throughout the day. 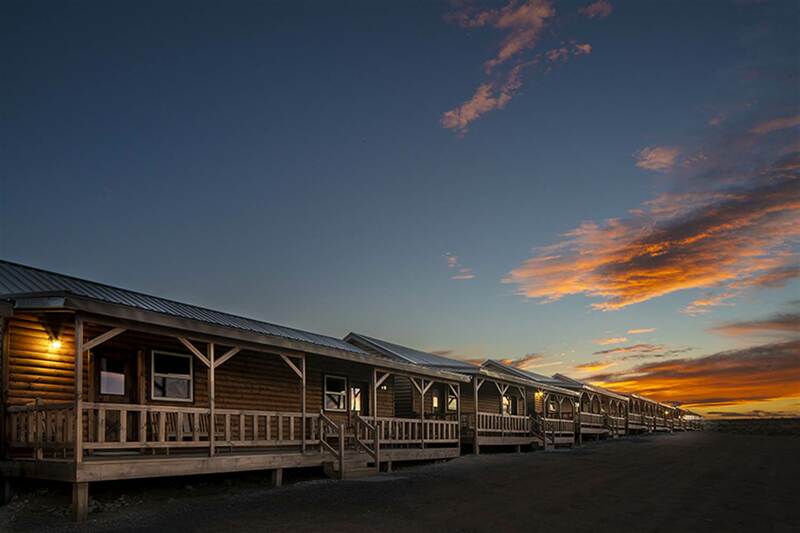 Hualapai Ranch is much more than a place to rest your head after an exciting day. We offer wagon rides, mechanical bull riding, an animatronic Shootin' Gallery, and Free Magic and gun fight shows. You can also thrill you senses by taking to the sky on the only zip line at the Grand Canyon, The Zip Line at Grand Canyon West. To ride the mechanical bull you must be at least 4 ft tall. Maximum weight is 200 lbs. Experience the Grand Canyon by horseback. We offer 30-, 60-, and 90-minute horseback rides along trails that skirt the edge of the West Rim. All rides are guided by experienced instructors and include spectacular views. We also offer 10-minute arena rides, which are great for horseback novices. These rides give you the opportunity to ride a horse safely in an arena with a veteran wrangler close by at all times. Minimum Age is 7 years. Ages 7-18 must be accompanied by a parent or legal guardian (proof of guardianship required). Maximum Weight is 250 lbs. Call today to book this one of a kind excursion: 1-888-868-WEST or 928-769-2636.